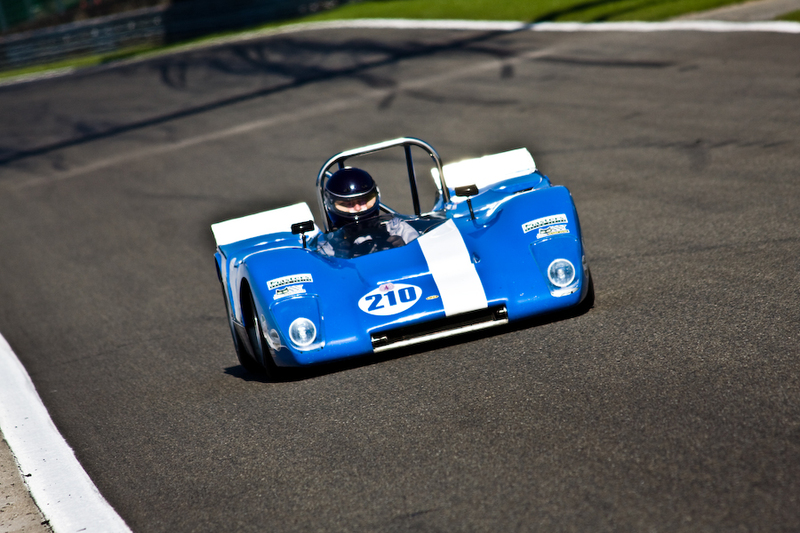 The Lola T210 was a super light 2 liter car from the early 1970s. In this video a 1972 model is being driven around Spa by Chris Fox at this year's Master's race. Note that the big cars you see in the video are mostly 5 liter Chevrons and Lola t70s. Oh yeah, the spin at La Source after the start? That was just a self imposed handicap so the race would not be so boring! Absolutely fantastic. Could have watched for an hour. Thanks for sharing! God that looked fun, loved every time he came out of the last corner. What F1 needs is right there too, proper gearbox and third pedal. Looks like he was the only guy willing to risk his car !